MINI GAN campers bring their own Peanut/Nut free lunch each day. Camp provides snacks and drinks. Campers should bring in a dairy, nut free lunch. This meal should comply with our "nut-free policy". Nu-Nutsa, nut butters and pastes, pecans, pine nuts, pistachios, and walnuts. Please read all labels thoroughly prior to sending food to camp. A list of sample lunches is provided. Campers will be instructed to not trade food and to thoroughly wash their hands after each meal and snack. If your child has peanut butter for breakfast, please be sure he/she washes his/her hands and face before coming to camp. 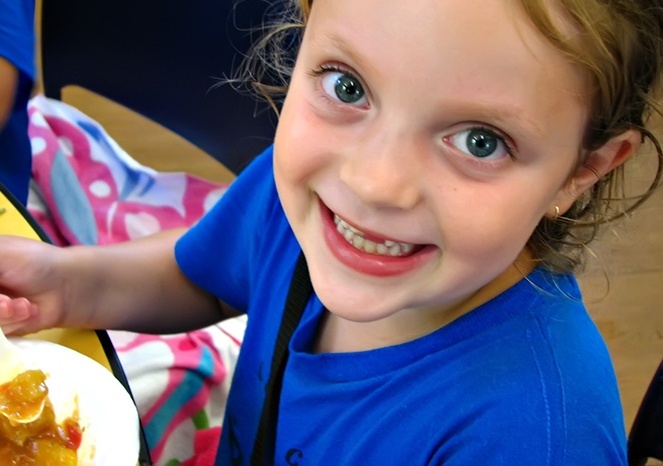 In the event a child accidentally brings in a lunch item containing peanuts or tree nuts, Camp Gan Israel will substitute an appropriate lunch. this with Miriam. We will try to work with you!